EPS has NEVER contained CFC's, HCFC's, or HFC's. EPS is 100 percent recyclable: Recycled EPS is ground and reincorporated into new EPS products or thermally processed to make a resin that can be used to re-manufacture new polystyrene products (such as clothes hangers, picture frames, electric outlet & switch covers, and computer/laptop monitor cabinets). The little numbers with arrows are part of the Resin Identification Coding System which was developed by the Society of Plastics Industry. 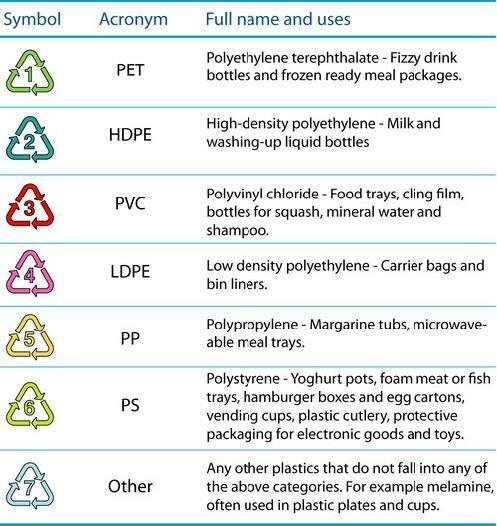 A "6" code indicates that the plastic is Polystyrene (PS) or Expanded Polystyrene (EPS). EPS manufacturing is resource efficient and uses little energy and creates little pollution. EPS products save resources by reducing energy consumption through insulation systems. EPS is Landfill safe: EPS does not produce methane gas or contaminating leachates because it is inert and stable. In its fundamental form, styrene consists of carbon, hydrogen, and oxygen. EPS provides a clean source for Waste To Energy (WTE)incineration systems. The chemical makeup of EPS is carbon and hydrogen, elements found in wood and other organic materials. Styrene occurs naturally in the environment and is found in foods such as coffee, cinnamon, and strawberries. Additional information on foam recycling can be found at www.epspackaging.org. © 2019 Styrene Products Inc.